From grab bars to commodes, you’re in the right place for everything you need to outfit your bathroom for safety and comfort. Our bathroom safety selection and knowledgeable staff ensures you will be able to make your purchase with complete peace of mind. 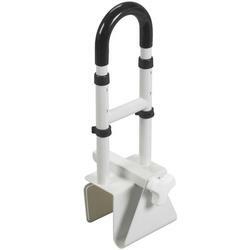 Bath lifts are a simple-to-use way to stay safe while getting in and out of your bathtub. Spinlife features bath lifts that are ideal for high baths and have weight capacities of up to 375 pounds. Our selection of bath lifts are battery-operated, with most models featuring reclining backrests for added comfort and submergibility. For users with limited mobility, a rehab shower commode chair may be a good fit. 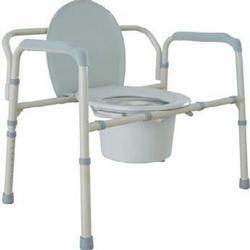 We offer a wide selection of rehab shower commode chairs to meet a variety of needs. 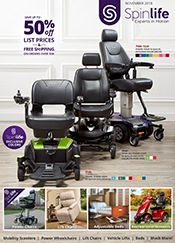 Our selection of rehab shower commode chairs come in a variety of styles, with large back wheels for self-propulsion to smaller-wheeled chairs for easy transport by a caregiver. With removable commodes, as well as some models able to roll over existing toilets and swing-away arms for easy transfer, these rehab shower commode chairs are versatile to meet almost any need. 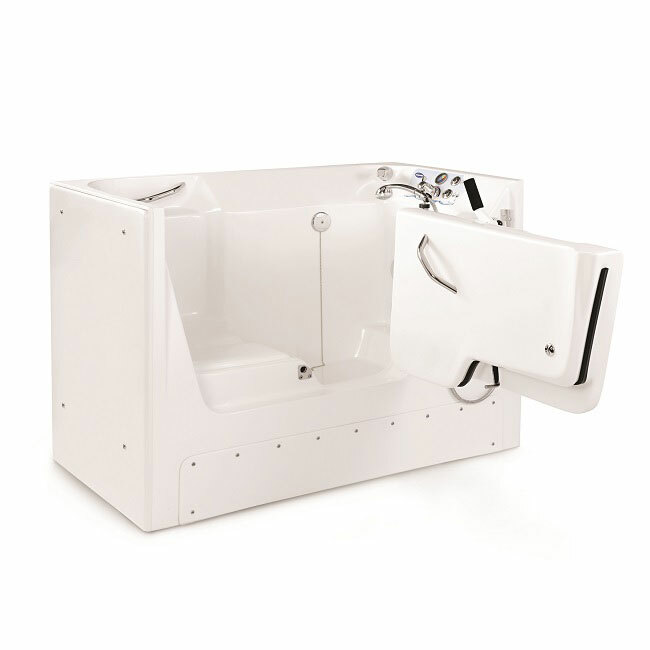 If you are looking for a convenient way to get in and out of your bathtub or shower, check out Spinlife’s selection of transfer benches. These transfer benches are easy to put together, lightweight and simple to use. We feature portable transfer benches, benches with padded seats and backs, which can be reversible to accommodate any bathroom. 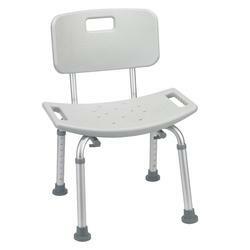 Shower seats and stools are a great option to assist you with stability in your shower or bathtub. Made of durable, water-resistant materials, Spinlife’s selection of seats and stools is ideal for those who need a little help while in the shower or tub. Lightweight and easy to fold or disassemble, these are a great economic option to ensure your safety, stability and comfort while in the shower or tub. For ease in transferring from a commode to the shower or bathtub without the hassle of using multiple products, check out Spinlife’s selection of bathroom transfer systems. These easy-to-use transfer systems allow the caregiver to transfer the user around the bathroom without the strain from switches between products. With flip-up or removable armrests, and some models featuring a tilt chair option, there is a bathroom transfer system to meet almost any need. For extra assistance in sitting down on the toilet or getting up and moving, a toilet safety frame is just for you. These safety frames feature solid construction and comfortable armrests; which double as handles. They are height-adjustable and most weigh next to nothing, so portability isn’t an issue. 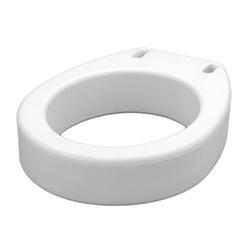 Raised toilet seats help accommodate users with less leg strength by increasing the toilet seat to floor height. 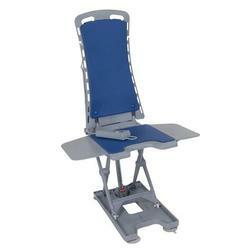 This additional seat height reduces the strain of getting up from a lower seated position. 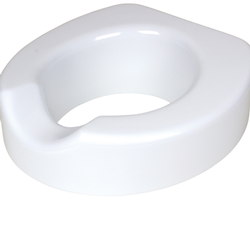 Spinlife’s selection of raised toilet seats feature durable designs, with some having grab bars for added assistance in transferring off of the toilet. 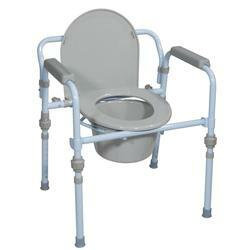 If you are searching for a lightweight, foldable and easy-to-use bathroom commode, look no further. 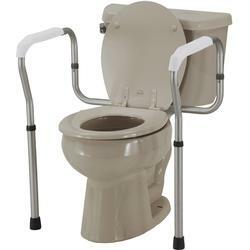 Spinlife carries a wide array of commodes with features that can meet almost any need. 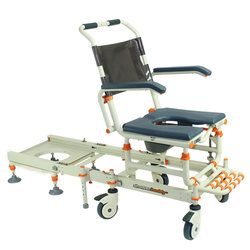 Many of the models we feature have drop-arms, which assist in user transfer to and from the commode, as well as wheels for easy transportation. Whether you are looking for a more economic commode or a commode packed with added features, Spinlife has the commode you’re looking for. The bathroom can be a slippery place, especially after a shower or bath. Grab bars are a helpful way to maintain stability in and out of the shower. Spinlife features permanent installation grab bars, suction cup grab bars and clamp-and-move grab bars; ideal for bathtub settings. For those who desire a better reach with their showerhead, a handheld shower is ideal. 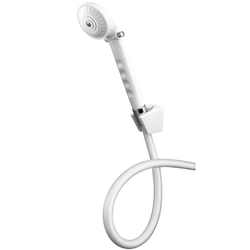 Spinlife has a selection of handheld showers that feature long hoses for total coverage. These handheld showers are great for individuals who are using a shower chair or bench, as they can reach areas that a normal shower head can’t. Walk-in Bathtubs can be an essential part of your home, providing a safe and accessible way for you to enjoy the warmth and comfort of a bath without worry. Often featuring higher walls than a traditional bathtub, these special tubs use a swinging door that allows the user to enter and exit without the difficulty of stepping over a sidewall. Because of a seal on the door, water is able to remain in the tub. Fast-draining capabilities are included with many tubs, which can reduce the time you'll need to wait for the tub to drain before exiting. Walk-in Bathtubs also typically feature a built-in seat, requiring less bending in order to relax and enjoy your bath. In addition to our selection of Walk-In Bathtubs, we also carry the bath safety items you need to make bathtime as worry-free as possible. If you don't see what you need or have some questions, give us a call and our expert staff would be happy to help you. Spinlife offers a selection of heavy duty and high weight capacity bath safety products to meet a wide variety of needs. 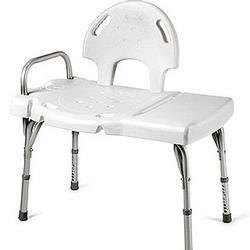 These bath safety products help maintain your independence in the home, while also ensuring your safety with higher weight capacities, reinforced frames and wider seats and benches. 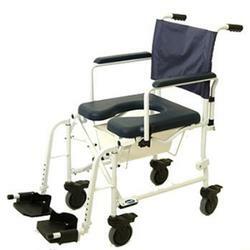 We feature bath lifts, transfer benches and commodes that accommodate those needing heavy duty products. Regardless of your bath safety needs, Spinlife has the product for you. Ensuring your independence, convenience and safety are top priorities of Spinlife, and they are reflected in our selection of Nova bath safety and aids to daily living. With folding shower chairs, benches, raised toilet seats and more, Spinlife has the right Nova bath safety and aids to daily living for you. SpinLife has the right bath safety products to make your bathroom safe and accessible. Create a safe and functional bathing environment with transfer benches and shower chairs, raised toilet seats and safety frames. If you don’t see a particular bath safety product you’re looking for, please don’t hesitate to contact us, and one of our SpinLife experts will assist you. For hygienic reasons and health codes all bath safety items are non-returnable. The only exception to this is rehab shower commode chairs which are eligible to be returned with a 15% restocking fee. Please see our Return Policy for complete details.